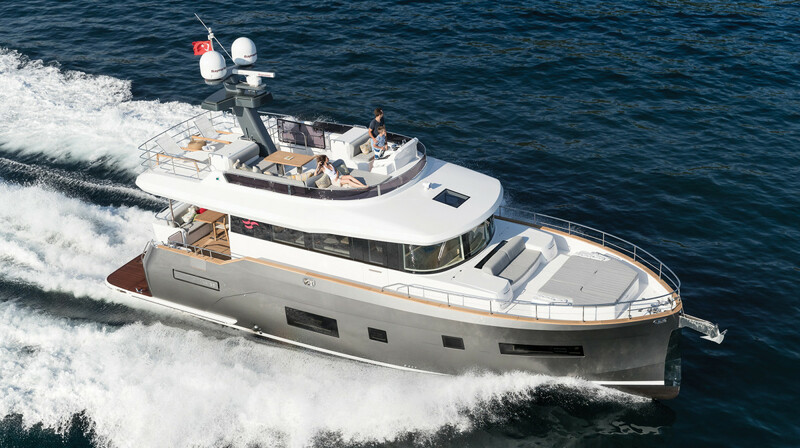 The Sirena 56 is a Turkish-built motoryacht that may change the way your guests feel about you. Why? Because they may be confused about whether you gave up the owner’s stateroom for them. Imagine you’re in some far-flung port of call, perhaps waiting for friends on a chartered yacht to collect you for a long weekend. Imagine, too, that you happen upon a friendly couple there on the dock who invite you aboard for a cold drink. 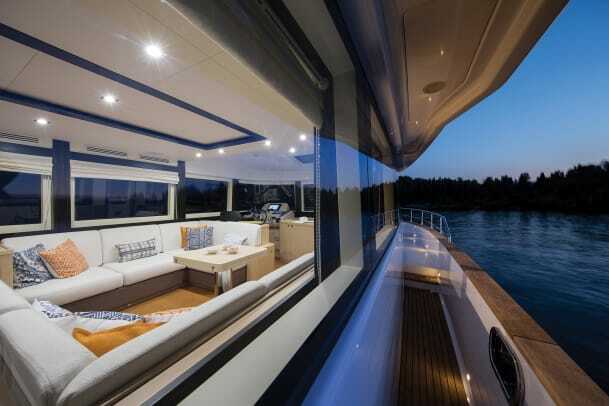 And so you find yourself sitting in the cockpit of their Sirena 56, enjoying the shade provided by the overhanging flybridge. 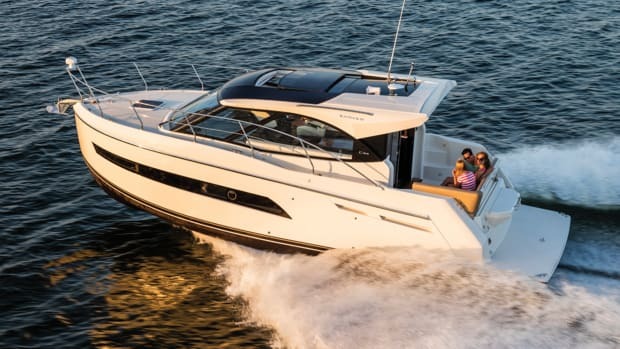 You three make your way forward on wide, covered side decks to a foredeck with sunpad and settee, the vertical pilothouse windows making it feel like you’re on a little ship. 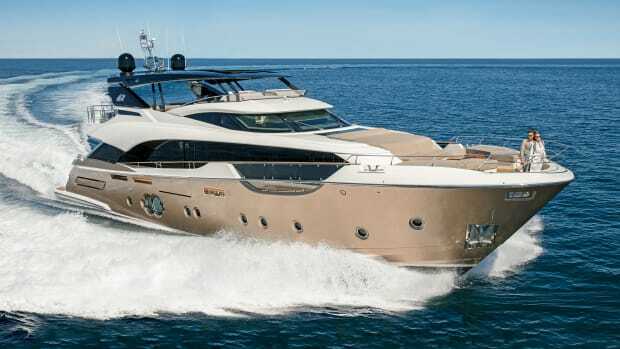 As the sun gets lower, your charter yacht steams into view around the break­water. So, you make your exit from the Sirena, although somewhat regretfully. As anyone who’s seen Hull No. 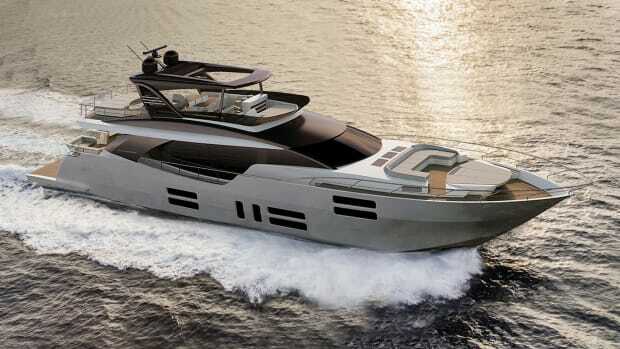 1 of the Sirena 56 firsthand will tell you, strides are being made in the realm of design. It may sound tautological, but the only way to get something really different is to, well, make something different. 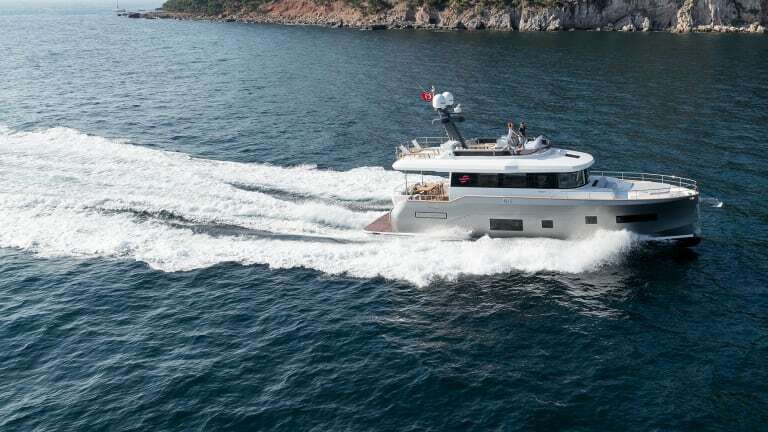 Sirena Yachts, a division of Turkish boatbuilder Sirena Marine, launched this boat and a 64-footer in 2017, and then, later, introduced plans for an 85 as well. 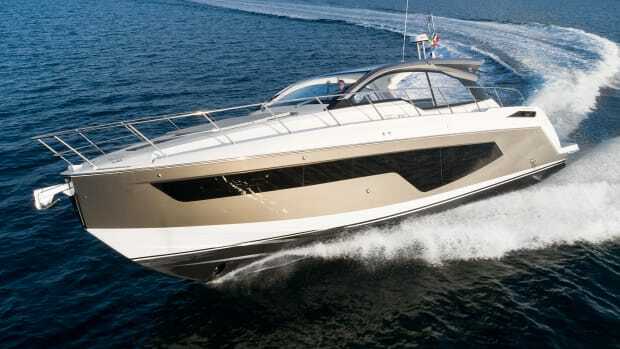 The company is part of a huge industrial conglomerate—that also dabbles in railroad and automotive—which got its start building contract for Azimut Yachts, and, in fact, still builds Magellano 43s in Bursa Orhangazi. 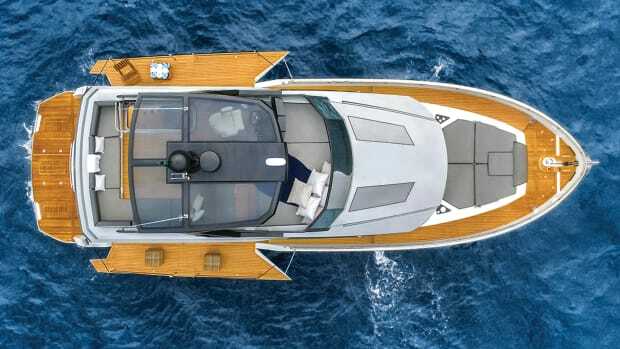 But Sirena Yachts is finding its own path, with design help from German Frers and Tommaso Spadolini. 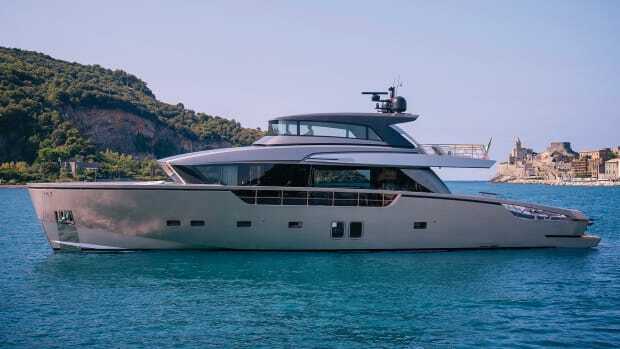 Here’s why it works: The volume of this hull is carried far forward so the forepeak stateroom rivals that of the cabin located amidships in space, feel, and amenities. Please note I didn’t refer to either one as the master, since I don’t want to color your judgment—I’m as neutral and agreeable as the soft pile carpet throughout the boat. 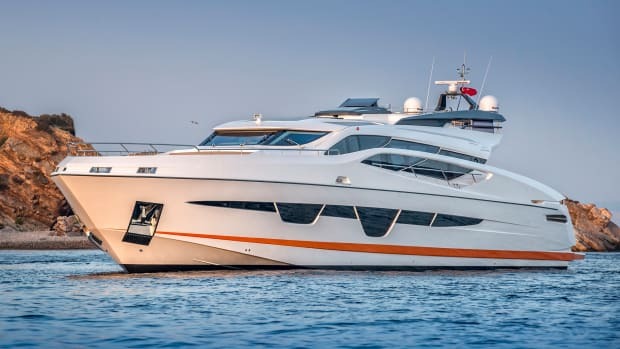 Each space is en suite and with hullside windows, and the forward stateroom has the berth situated feet forward, so the head of the berth is that much closer to the boat’s center of gravity. On the main deck, the large panels of glass around the house are set in rugged frames and offer excellent views for guests sprawled on the settees. There’s a dining table placed forward of the port lounge, which backs up to the port-side helm position forward. Using light-colored fabrics in combination with pale wood accented with wengè, Spadolini created an inviting summery feel. 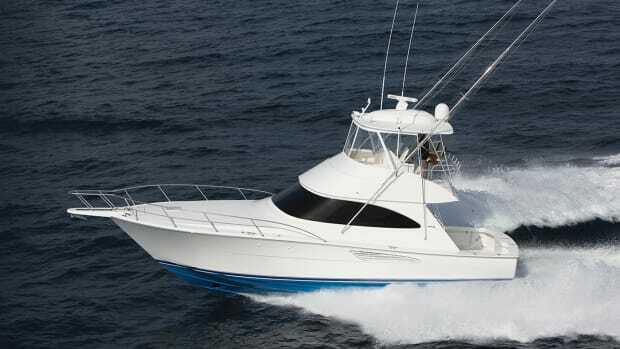 The aft galley is ready to serve the salon, cockpit, and flybridge. 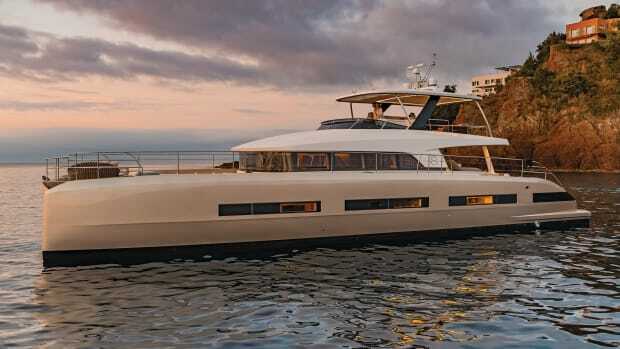 The top deck is a spacious addition to the mix, with a wide companion sunpad to starboard of the port helm, while a dining lounge aft is ideal for alfresco gatherings. Loads of onboard stowage hints at this being a real cruising boat, and a range estimate of 850 nautical miles at 10 knots is noteworthy.